Composting is the most important soil building program in our sustainable no-till farming system. Composting plays a key part in helping fall/winter cover crops grow faster and better. Each square foot of my topsoil in our garden beds are loaded with rich, dark, crumbly humus, packed full of beneficial soil microbes, and big fat, juicy, earthworms! 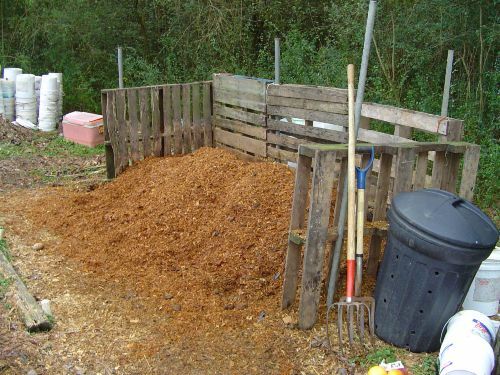 Here is my starter compost pallet bin. 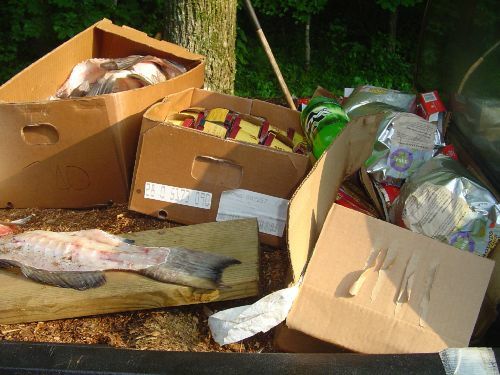 All my raw organic materials begin here, and remain here for about 7 days. During that time, my "greens" and "browns", start to heat up and maybe even steam on good days! This is what my "cooking" compost looks like after 2 weeks. Even though this is still not ready for sale, I'll still use this as mulch in my no-till garden beds. This is what my mature compost looks like after 1-2 months. At this point I'll sell it to customers, or use it in my garden or lawn, or use it in my aerated compost tea recipes. 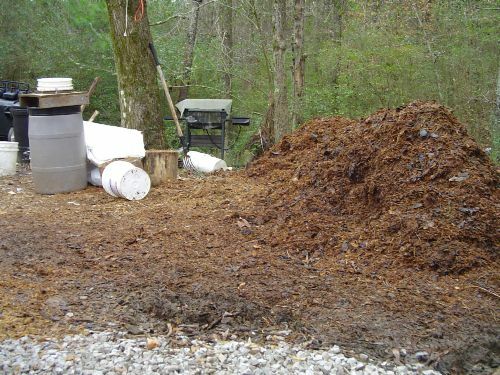 This photo shows a view of mature compost ready for sale. 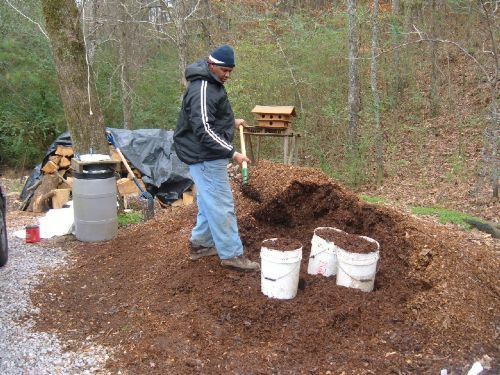 Mature compost is ready when the organic matter is mostly homogeneous, (dark brown not necessarily black), crumbly, not hot, not smelly, and has that classic pleasant earthy smell. 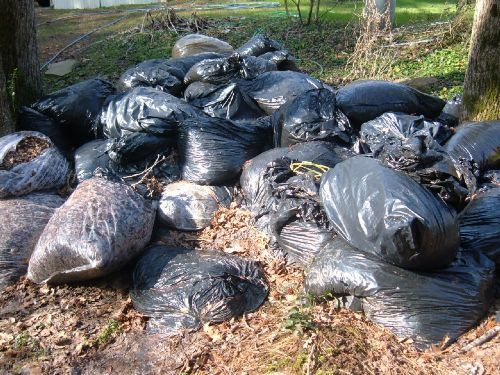 Every real composter should always collect leaves! 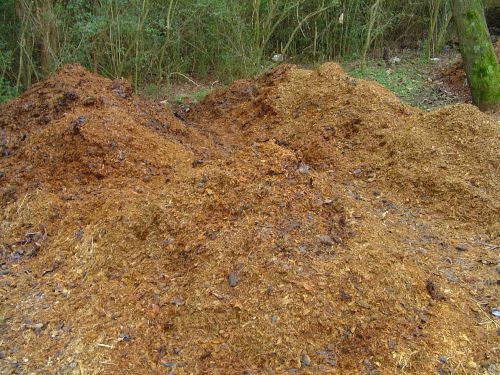 Leaves are a free source of carbon for composting. One of my favorite Rodale organic gardening books states that, pound for pound leaves have more micronutrients than raw animal manures! This is a weekly load of compostable materials for my hot active compost stockpiles. Notice the horse manure and sawdust and hay bedding on bottom. On top of the truck, notice the fish scraps from a local seafood market, food waste from grocery store dumpster, and used coffee grounds from local coffee shops.